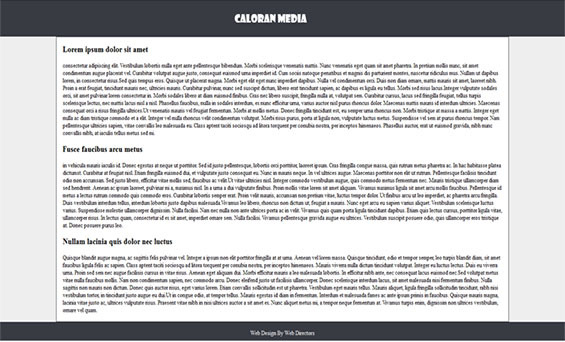 This guide will help a beginner website designer to design a basic HTML and CSS website. To develop a basic website, a beginner website designer must have some basic knowledge about HTML and CSS. HTML creates the webpage and shows the content; text, images and videos etc. Majority of the HTML tags work in pair as open and close tags. We will cover it later in this article. CSS is a supporting style sheet for the HTML pages that is usually used by website designers to style the HTML objects on the webpage. Using CSS; web designers can define how elements of HTML like header, footer, text, images etc can be formatted on the page. To create a webpage using HTML elements one should know the structure to use it perfectly. After <html> tag, <head> tag will be written. In <head> tag we define <title> </title> and close the <head> tag by writing </head>. The text between the <title>… </title> shows at the top of the page usually in the tab of the browser. Usually it contains the website name or webpage name. After closing head tag we define <body>…. </body>. Body tag is the tag in which our page content will be written. And finally we will close the html tag using </html>. Below is the sample code that will summarize all above theory of HTML. The div tag <div> is used to divide the page in sections. Web designers use div tag to wrap contents inside the div and give all those wrapped contents the same design. Div tag works like a container in which we can define other HTML elements. <h1> </h1> is for heading. How to apply CSS on HTML tags? CSS can be applied to HTML tags by defining class or id attribute inside the HTML tags. 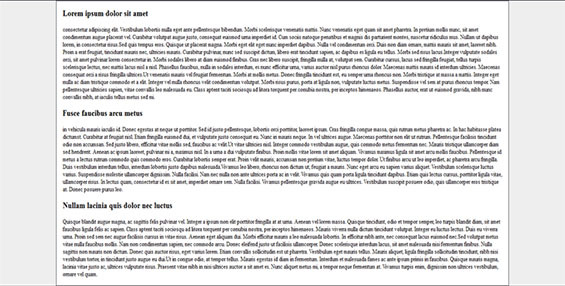 Create a new style sheet page with extension .css to give style to the HTML objects on the webpage. In this case we will file the name to stylesheet.css, you can give any name but the extension must be .css. In style sheet we can design above div by calling its class name i.e. firstdiv. The div containing the class name ‘firstdiv’ will be changed to the design written in stylesheet.css file. An id can point to only a single tag, any tag can only have a different id. If we want to give particular design to any tag of HTML we can define id attribute inside that tag and can easily design according to our requirements in stylesheet.css file. A class can point to many HTML tags so that we can give same designing to the different tags by using single class. Every web designer must know this. We will create a basic webpage using HTML and CSS that will look like the image of the page below. Firstly, we should know what main tags we will use to build a webpage like above. We will design the header first, then the content area and finally the footer. The div with class=”main-container” will wrap all contents of the webpage inside itself. In stylesheet.css we will design this main-container. After this we have written div with class name header. In this div we have made our header. Our page looks as the screenshot below.